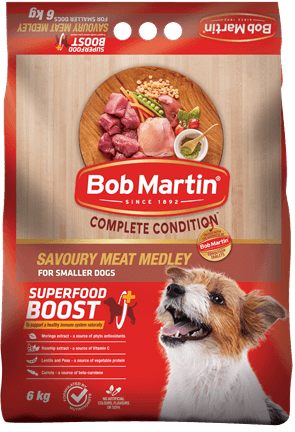 From small to big, from puppy to older dogs, Bob Martin have the complete nutrition for your dogs every day needs. 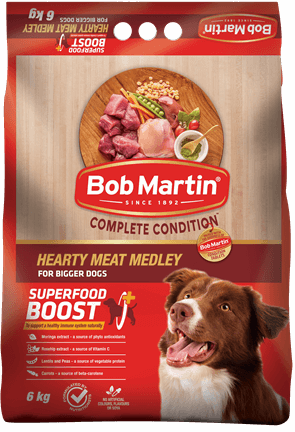 Your puppy’s active, playful personality is a sure sign that he’s getting all the protein, vitamins and minerals that he needs to grow. You’ll also be able to see it in his bright eyes and shiny, healthy coat. 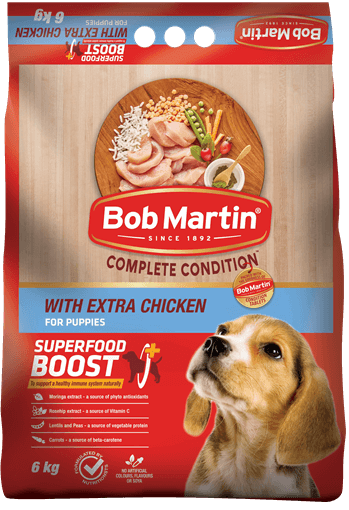 That’s the advantage of giving him Bob Martin Complete Condition with Superfood Boost – you can rest assured that he’s receiving optimum nutrition. Superfoods are naturally nutrient-dense ingredients that help support your puppy’s wellbeing – both inside and out. 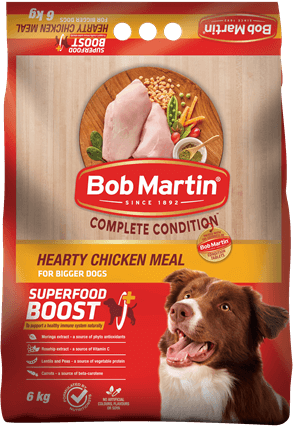 Bob Martin Complete Condition with Superfood Boost dog food is packed with the healthy goodness of Bob Martin Condition Tablets and Superfood Boost. Superfoods are naturally nutrient dense ingredients that help to support a healthy immune system naturally. There’s no need for your dog to slow down as he ages. 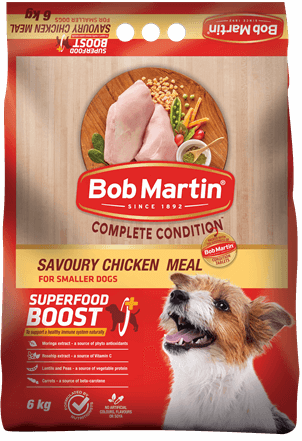 By giving him Bob Martin Complete Condition with Superfood Boost, you can ensure he receives optimum nutrition for lasting good health. You’ll be able to tell at a glance by his bright eyes, shiny coat, and the fact that he’s still full of the joys of life. 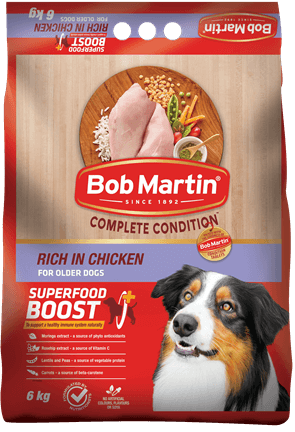 Superfoods are naturally nutrient-dense ingredients that help support your dog’s wellbeing – both inside and out.